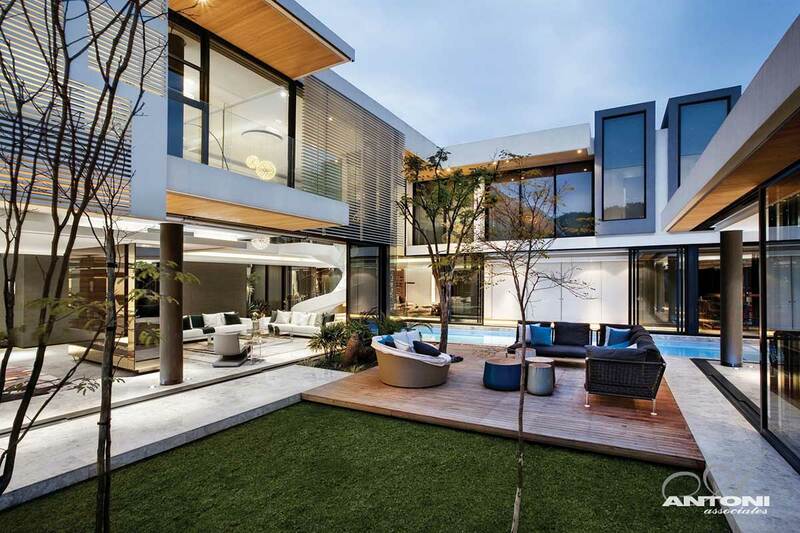 The 6th 1448 Houghton Residence was completed in 2012 by the Cape Town based studio SAOTA – Stefan Antoni Olmesdahl Truen Architects in collaboration with Antoni Associates. 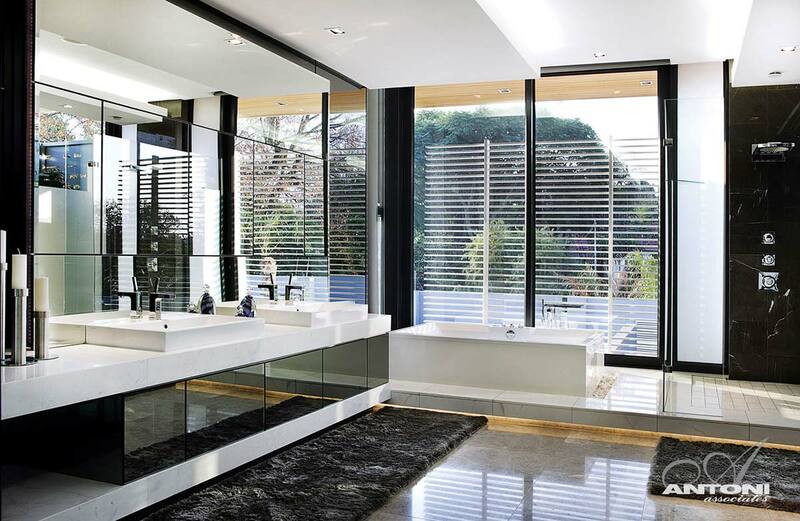 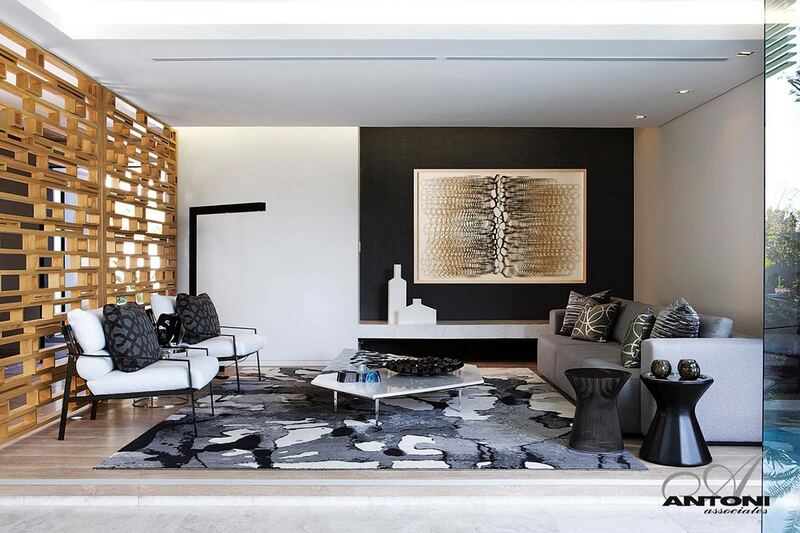 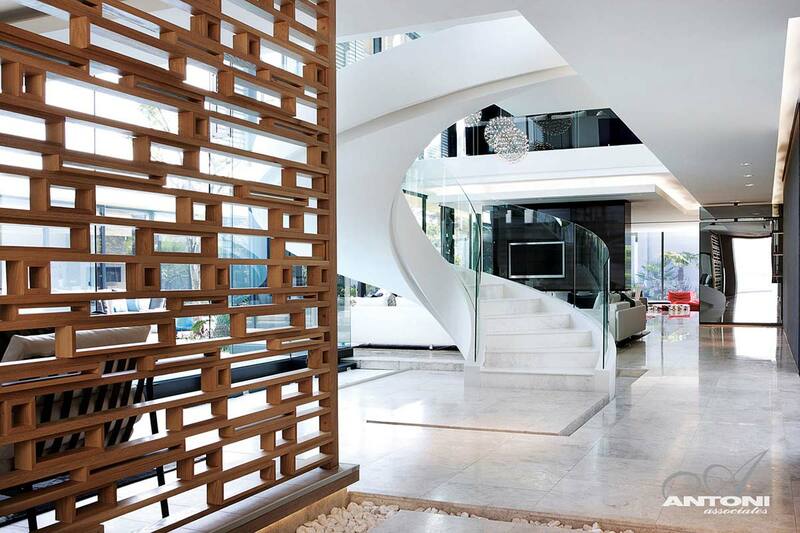 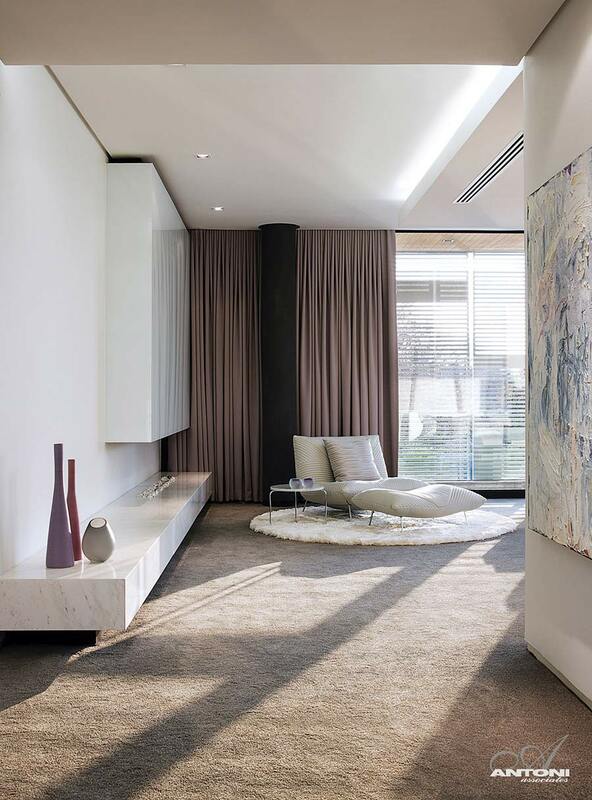 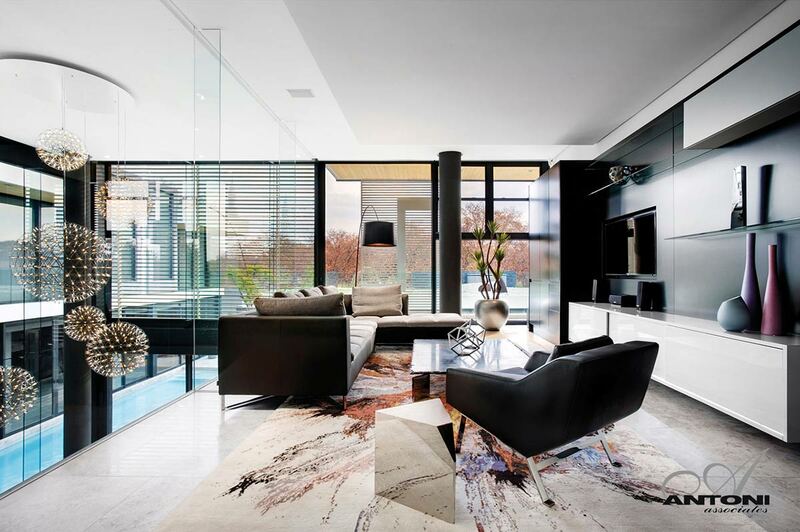 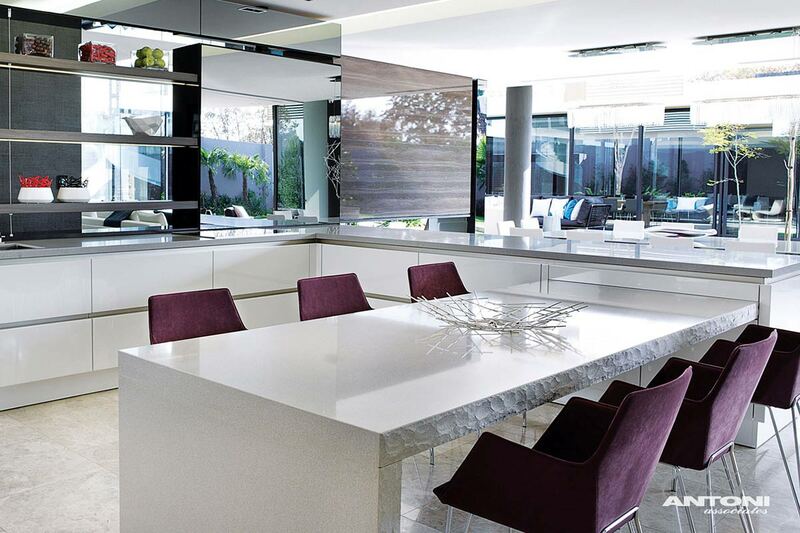 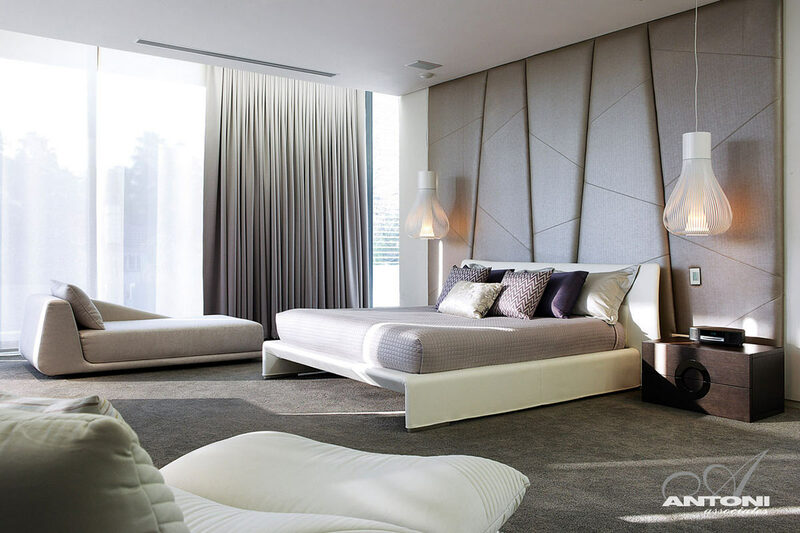 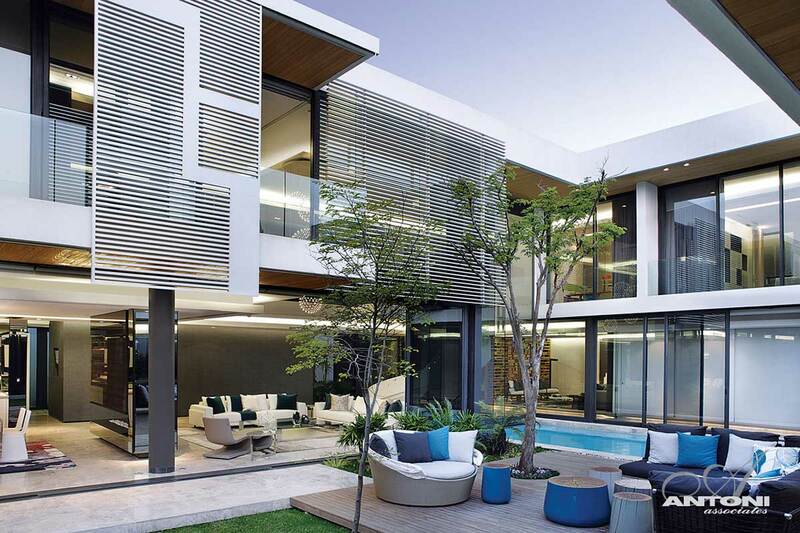 This contemporary property was built for an extended Johannesburg family. 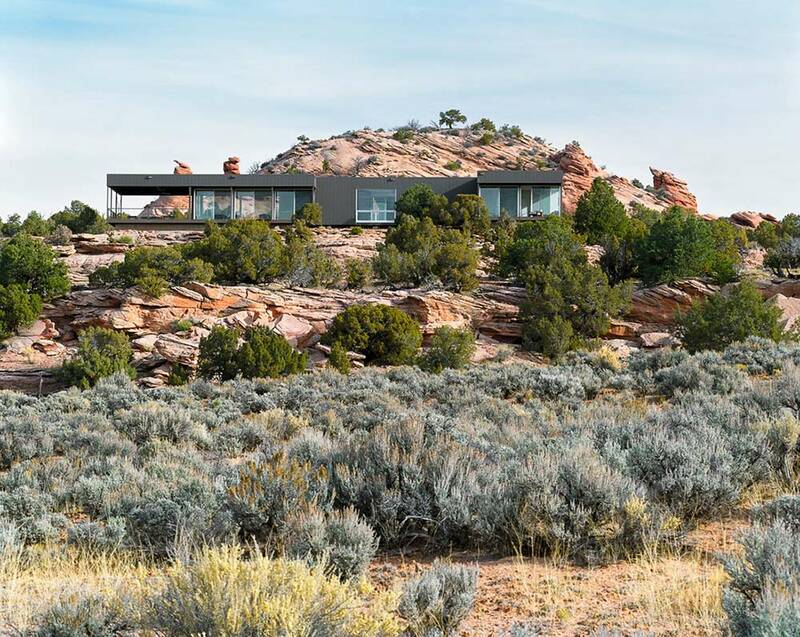 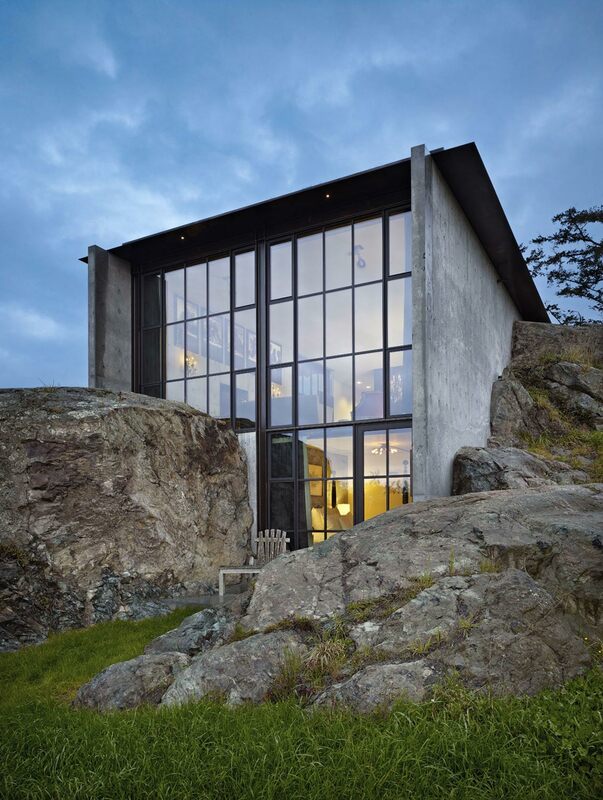 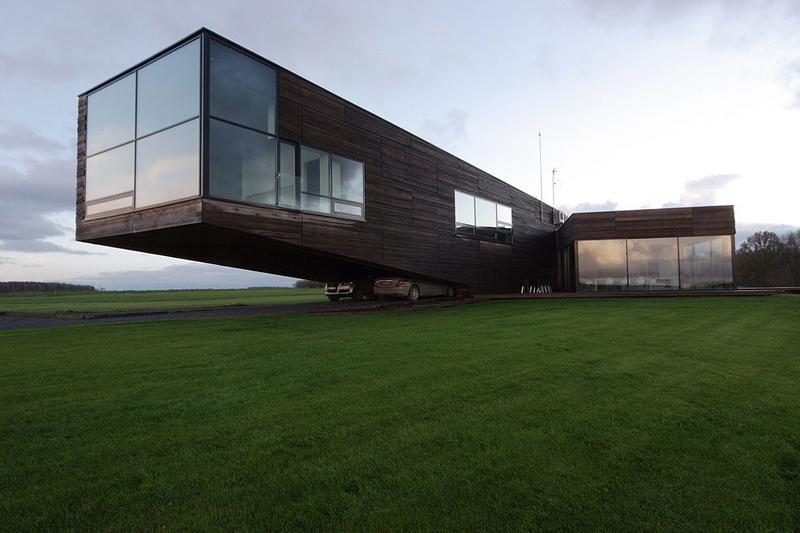 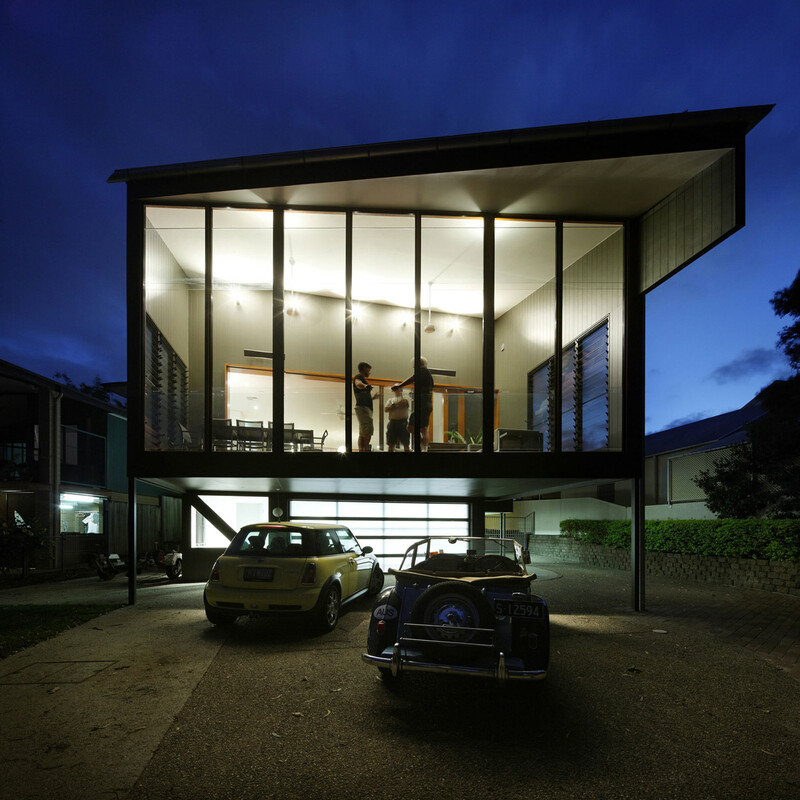 The U-shaped house has been split into two separate sites, built around an internal courtyard, both sharing a common entrance. 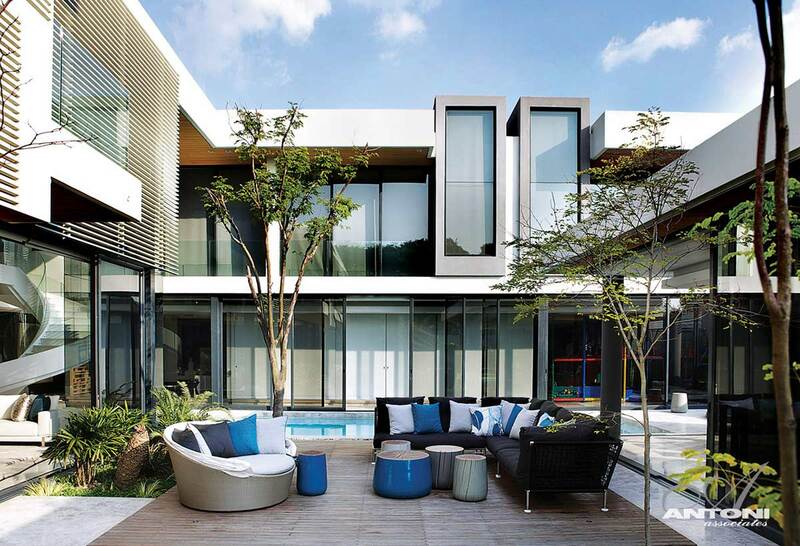 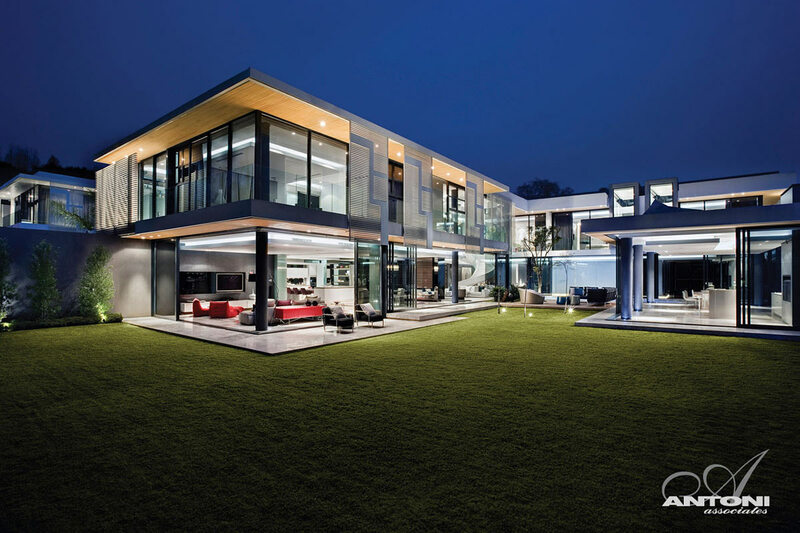 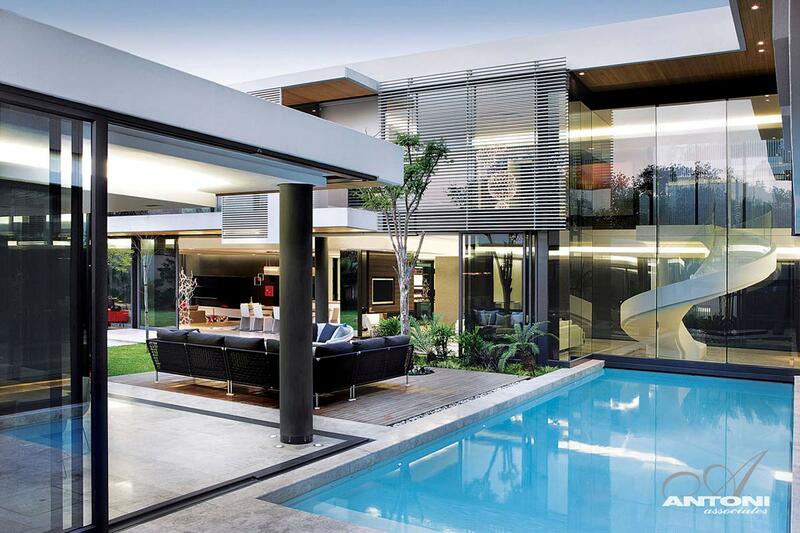 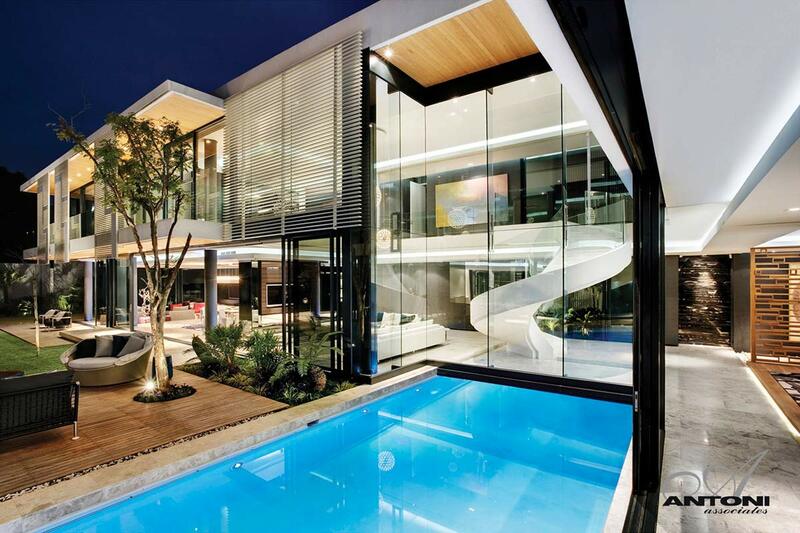 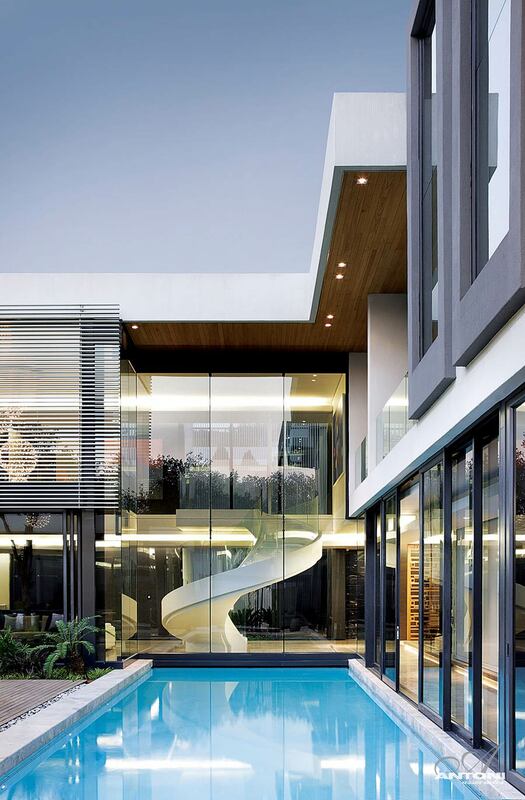 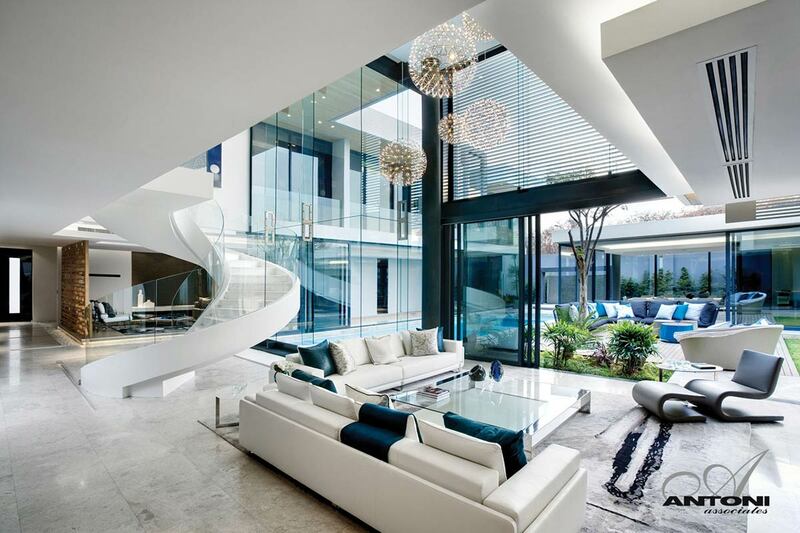 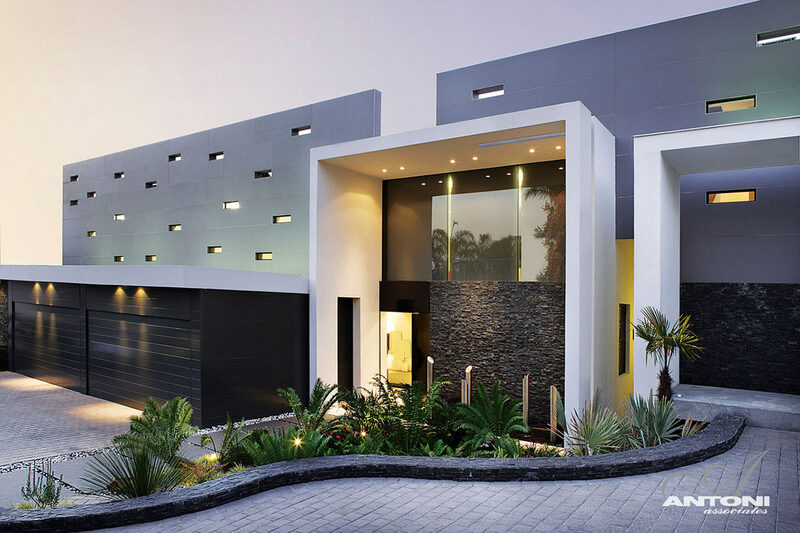 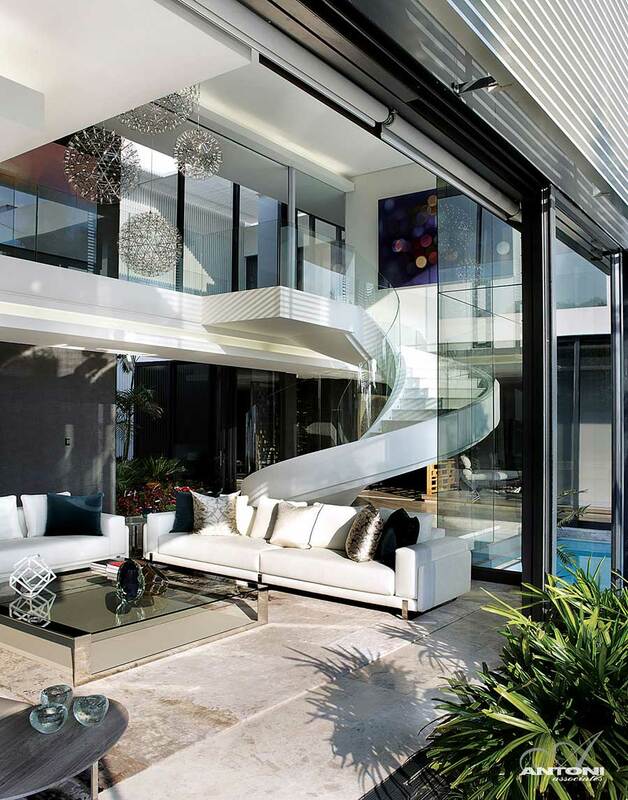 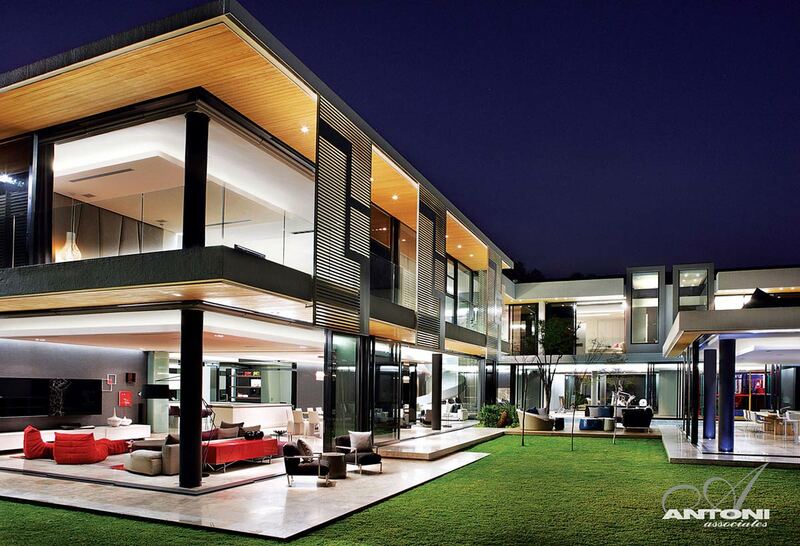 This home is located in Houghton, a suburb of Johannesburg, South Africa. 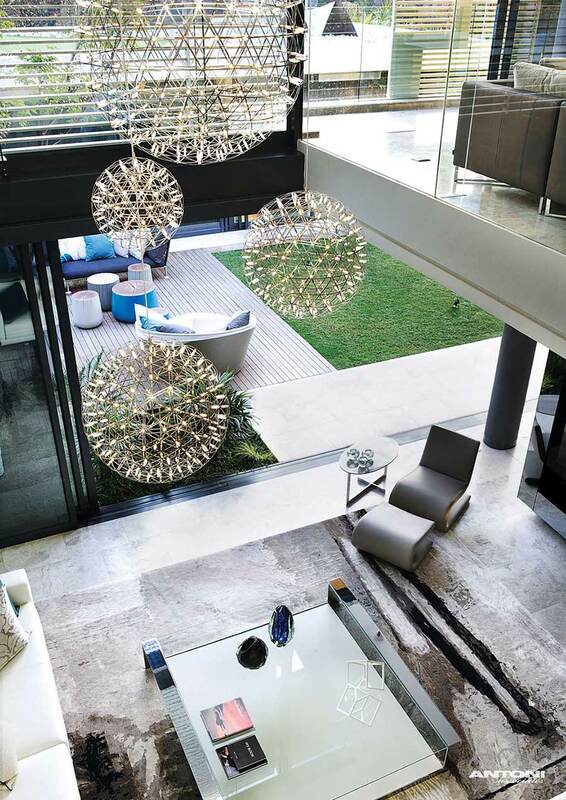 “The brief was to create a home for an extended Johannesburg family. 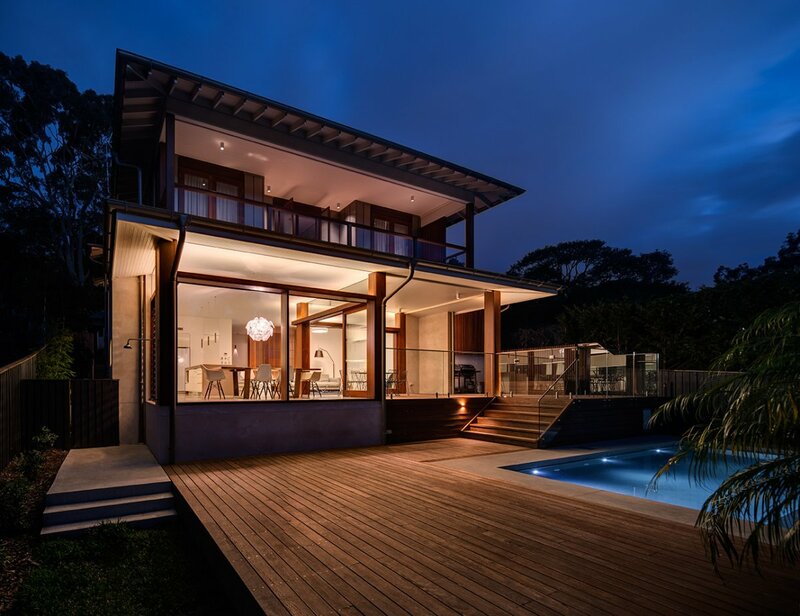 Situated in Houghton on a gentle slope, the site is surrounded by trees and has views from the upper levels.